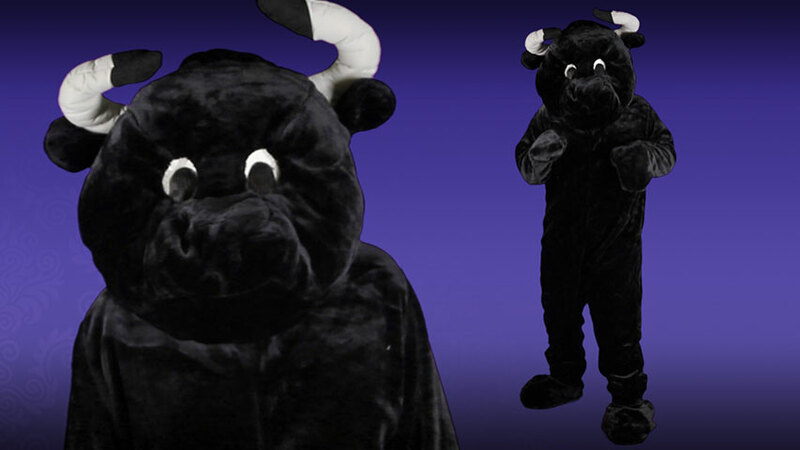 You can step into the shoes of a wily bull when you wear this plush Mascot Bull costume. The soft jumpsuit opens in back and zips to the neck and its mascot head has two screened eyes for easy viewing. The long tasseled tail in the back and gloved hands nearly complete the look, but the boot covers transform your feet into mighty hooves. 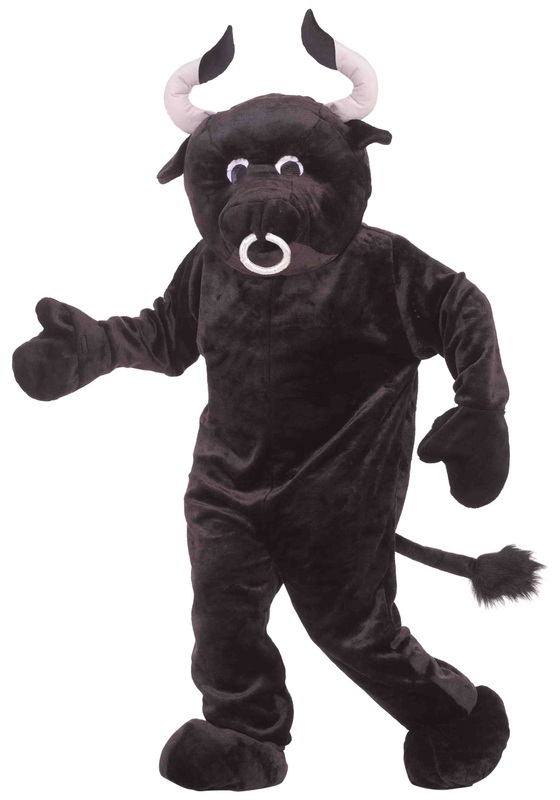 Whether you are inspiring the masses as a sporting mascot, channeling the renewing forces of the Spring, or even flirting with a lass in a cow costume, this is your one-way ticket to a spectacular victory.